These round cornered HANG UP Frames were carefully handcrafted by Stephen Lindsay himself to present our letterpress works without blocking natural light from the press operator's space. 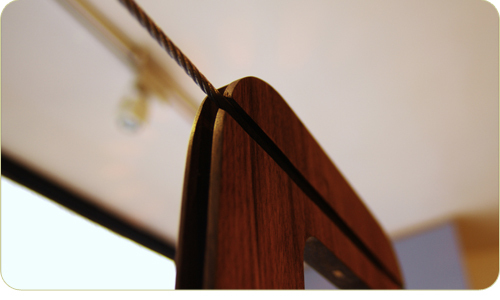 They incorporate Stephen's innovative solution for hanging the frames on cable or on the wall. The COFFEE CASE Table with glass lid that opens to present our products, publications and fine press ephemera. 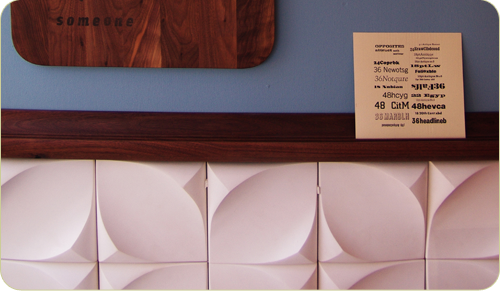 Also, Lindsay's detailed gypsum DUNE Tiles work as wainscoting. 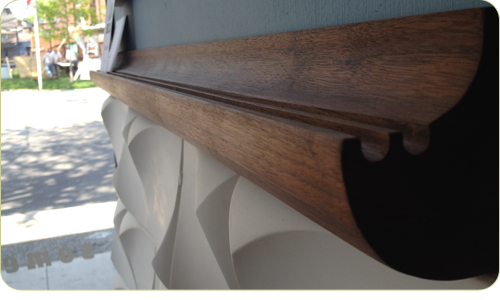 Available in many types of wood, concrete and winterstone. Custom-designed GROOVED Chair Rail, detailed with two rounded grooves along its top surface, is designed to display objets d'art and found delights, leaned up against the wall. 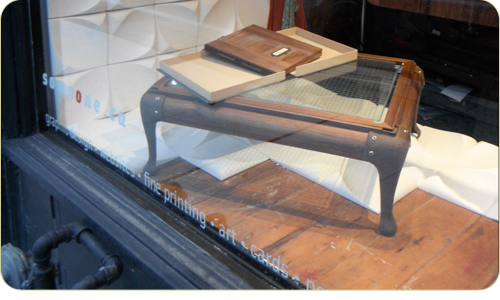 The urbanproduct solutions in the Someone.ca window create the perfect backdrop to display our latest work. All items shown are available for purchase. All can be customized to meet the specific needs of home owners, architects, interior designers, shops, studios and galleries. Tell urbanproduct Someone sent you, and receive a discount!